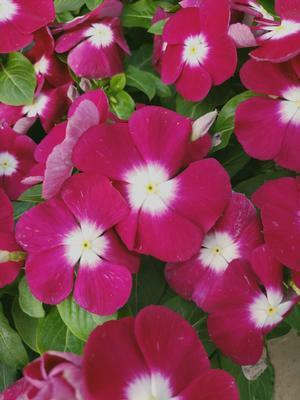 Pacifica Burgundy Halo XP is early blooming, heat resistant, and the largest blooms available in Vinca. Pacifica Burgundy Halo XP is great for beds, borders and mass planting or containers. They can provide the landscape with huge flowers on glossy green foliage. 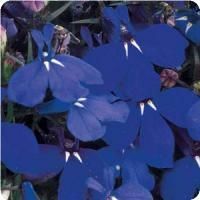 Their vigorous upright growth habit quickly fill beds and landscapes and are great accompanying Cora Cascades in hanging baskets or containers. They produce super large blooms that cover the plant. Pacifica can reach heights of 10-14” tall and widths of 6-8”. 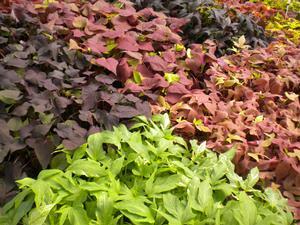 They are a great plant for vibrant early Spring, Summer and Fall for a longer season of color. The Pacifica Burgundy Halo XP prefers full sun and average, well drained soil. Deadhead to prolong and encourage extended flowering.